Straits Air Freight Express (known as Safe Air in 2011) started operating a cargo service across Cook Strait in 1947. 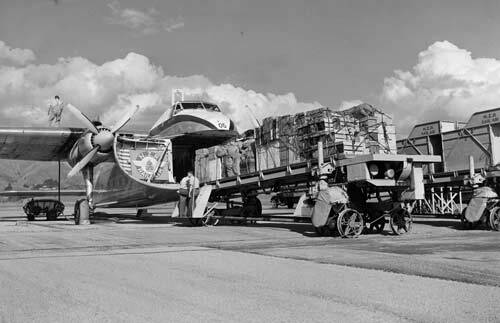 This 1956 photo shows one of the company’s Bristol freighter aircraft being loaded. Since 1990 the company, an Air New Zealand subsidiary, has mainly provided aircraft maintenance, repair and overhaul services.